The Philadelphia Police Department is asking for the public's assistance in locating Elderly/Endangered Missing Person 79-year-old Cecelia Oliver. 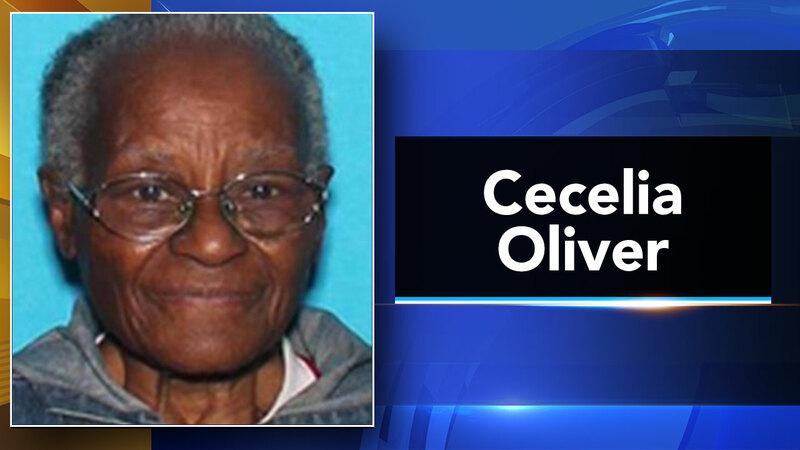 PHILADELPHIA (WPVI) -- The Philadelphia Police Department is asking for the public's assistance in locating Elderly/Endangered Missing Person 79-year-old Cecelia Oliver. She was last seen on the 2800 block of South Randolph Street on Sunday, September 17. Cecelia is 5'1", 120 pounds, small build, brown eyes, medium brown complexion, gray hair, and was last seen wearing a black shirt and black jeans. She is reported to suffer from Alzheimer's disease. Anyone with information on Cecelia Oliver's whereabouts is asked to please contact South Detective Division at 215-686-3013 or call 911.